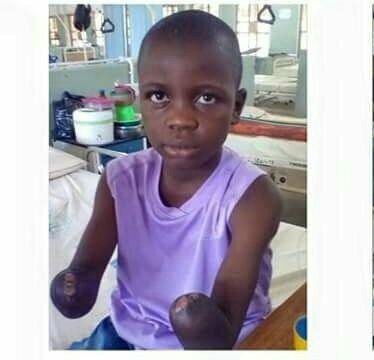 A young school boy name Zubairu lost boths hands after he was being punished badly by his Teacher in Kagarawal area of Gombe State. Zubairu received this ill treatment in March earlier this year after he was brutalised by an Islamic scholar, who flogged his hands with a sharp object for allegedly stealing. This ill treatment caused Zubairu’s hands to rot…..and his hands were amputated at the Federal Medical Centre, Gombe. 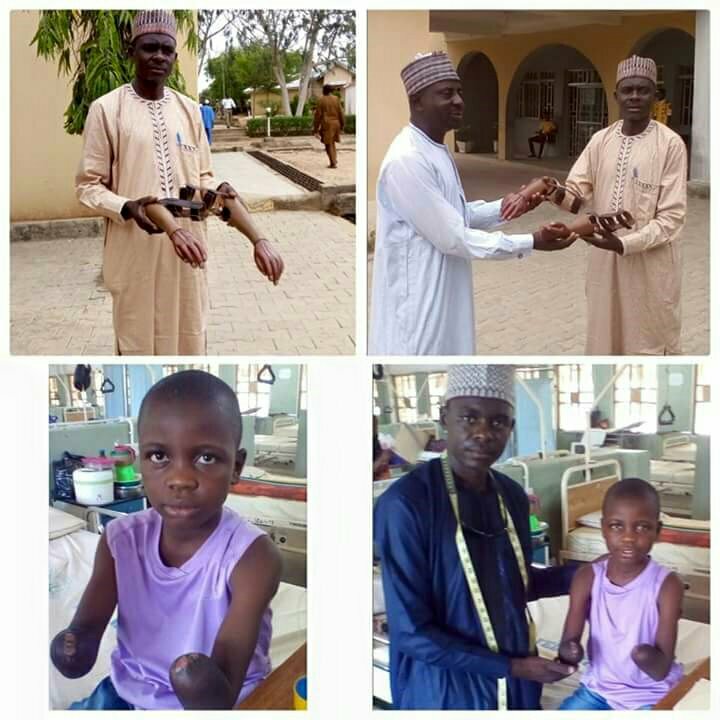 A patriotic Nigerian, Abubakar Narkuta from Jos decided to make the artificial hands for Zubairu. 0 Response to "School Boy Gets Artificial Hands After Losing Hands To Teacher’s Brutality"